Save the Date! Sunday, November 11 from 9 am to 1 pm, our Edgewood/Butler Tech FFA will host their annual Pancake Breakfast to support Honor Flight Dayton. 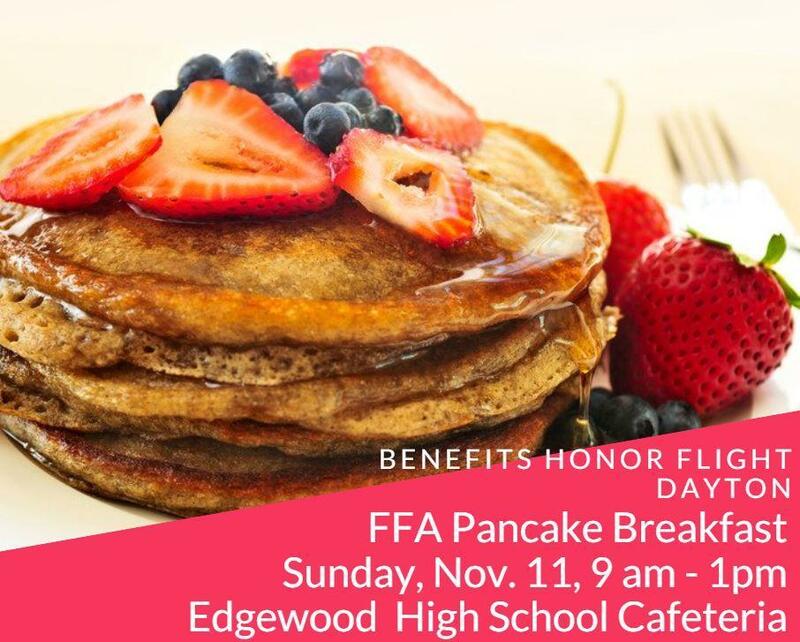 The event be held at the Edgewood High School cafeteria. General Admission is $5.00. Veterans, Active Military, and Children under 7 are FREE! Refer to the attached flyer for more details. Please join us for this great fundraiser and show your support to all the brave men and women who serve our country.